Camera phones have come a long way over the last couple of years. The improvements with regards to features, functions and output quality are nothing short of extraordinary. Most camera phones today have optical image stabilization (OIS). They also sport bigger lenses and larger sensors. Some even have an optical zoom that puts them at par with digital cameras. This is why stores that sell cell-phone units recommend camera phones for amateur photographers. They are a great starting point if you want to dabble in photography but don’t have the means to splurge on a high-end camera just yet. Arguably the best camera phone in the market today is the Samsung Galaxy S9 Plus. This flagship phone has an ultra-bright f/1.5- to f/2.4-aperture lens in addition to a secondary telephoto camera. Both sport a 12-megapixel sensor and OIS. One of its best features is the 8mp f/1.7 front selfie camera that has an Auto Focus (AF) feature. Only a handful of premium smartphones today has this element. This high-quality device from Samsung has an impressive screen, too. It boasts a 6.2inch Quad HD+ display. In terms of video recording, the Galaxy S9 Plus can record high-speed video at 960fps. The captured video stills are 9 megapixels. This is the perfect phone if you love taking photos outside regardless of the weather. It’s waterproof (up to 30 minutes) and dustproof. The front and back of the phone are protected with Corning Gorilla Glass 5. The toughest competition of the Galaxy S9 Plus is the Huawei P20 Pro. Even professional photographers consider the P20 Pro as one of the best Android cameras that has ever come out. 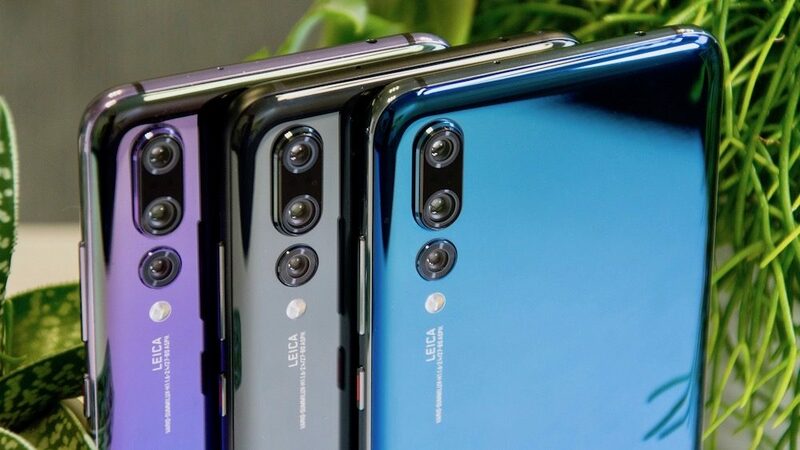 The P20 Pro has a triple camera setup on its back. All three combined, Huawei’s flagship phone can produce images at up to 68MP. If you’re going to add the 24MP from the selfie front camera, you’ll have a staggering 92 megapixels. And while some would say that megapixels can only get you so far, Huawei made it a point to back up the P20 Pro with a solid variety of camera features. These include a 20MP black-and-white sensor, decreasing noise, 3X zoom lens, 8MP sensor and more. And one of the best things about it is its ability to zoom into a scene without actually adjusting the digital zoom. This feature ensures a minimum decrease in image quality. era features. It’s pattered around the dual cameras of the iPhone 7 Plus with upgraded features like wide-angle and telephoto lenses. The iPhone X also has an improved OIS, a larger sensor and an updated aperture for the telephoto lens. The dual cameras at the back have 12MP while the selfie cam has 7MP. For an Instagram-ready selfie photo, the iPhone X has a ‘Portrait Mode’ feature that creates an automatic ‘bokeh’ in the background. Bonus runners-up for the best camera phones today: Google Pixel 2 XL and Huawei Mate 10 Pro.